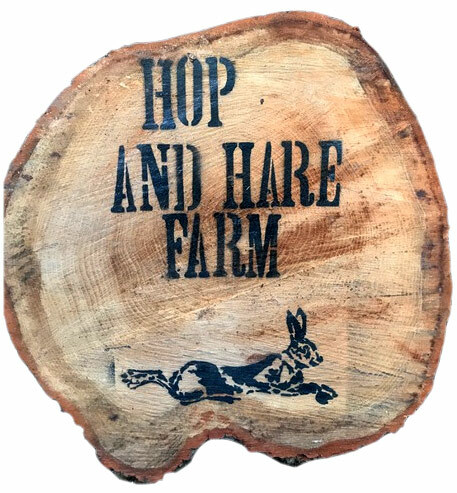 This year you will find us nestling next to camber sands and rye at the Hop and Hare farm, this secret space gives up a babbling brook, rolling meadow land and cathedral esq woodland all set within 20 acres. Kids have the chance for freedom, parents the chance to unwind. Secret spaces for individuals and child free moments, tree tents, bell tents, shepherds huts and your own tents are all here and waiting. Thanks for booking and we look forward to seeing you! Look out for High Lankhurst Farm and Rogers Farm if you are travelling towards Westfield this will be approx halfway down the lane on the right. Continue down the track no more than 10 mph until you see 2 x metal gates and that is the entrance to the campsite. * Please keep your vehicle on the track marked your speed at 10mph and look out for the gate over the stream and reception is the shepherds hut at the top of the field.